1. Which In-Home Senior Care Services Do You Need? With a wide range of in-home senior care choices, you’re sure to find what you’re looking for. For many aging individuals, being at ease is important. For most, this means the comfort of their own home. With services like ours, they can receive the attention they need while maintaining their independence. 2. Do You Need Specific Service Hours? Life in Palm Harbor gets full fast. You may initially think you have the capacity to watch over your parent or grandparent but soon find yourself spread too thin. Struggling to provide the attention they need doesn’t mean you’re disloyal. It’s quite simple: one person can only do so much. 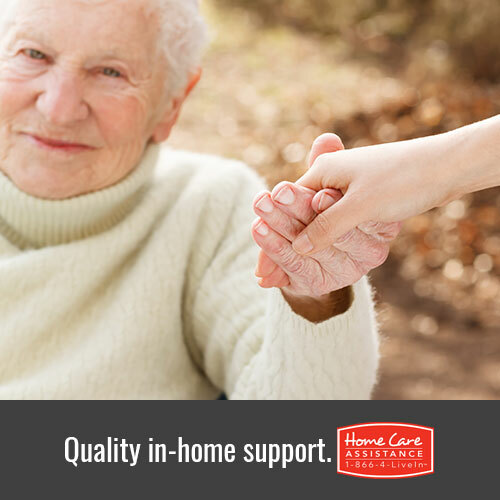 Home Care Assistance Tampa Bay provides 24-hour in-home senior care, as well as hourly service options. If your loved one is particularly mobile and independent, you might consider the latter. Since we understand that things can change overnight, we won’t hold you to a long-term contract. If something comes up, and you need to increase or reduce hours, there are no hidden fees. We can accommodate changes easily. Such flexibility will give you peace of mind. By keeping your loved one at their Palm Harbor home Care, they retain their independence and are more comfortable in their environment. This can make it easier to receive assistance from in-home senior care providers. In addition to standard responsibilities, our licensed professionals can offer companionship and social interaction. If you aren’t close by or are out-of-state, you can rest assured knowing that your parent or grandparent isn’t by themselves all the time. Contact us to schedule a complimentary consultation today!